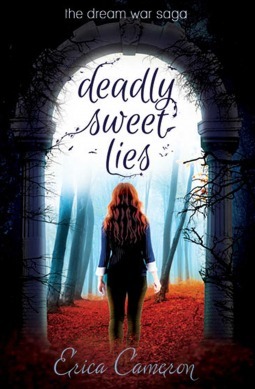 Deadly Sweet Lies wasn't half as good as its predecessor, in my opinion. The characters were kind of weak, and the little bit of world-building still wasn't sufficient, in my opinion. The writing was pretty good, but the pacing was super slow. It just didn't hold my interest as well as Sing Sweet Nightingale. I did enjoy seeing what happened to the characters of the first book, but the ending of this one really freaking sucked. I just wasn't blown away. Nadette was a pretty strong character for the first 75% of the book or so, then she just got annoying. I liked her fine until the really bad things started happening and she acted like an entirely different, weaker character. That threw me and made me not like her as much. Julian also was obnoxious. I didn't like him from the very beginning. Lexi was pretty interesting, and I liked Aisling a lot. Other than that, the old characters were the only ones who stood out and interested me. The pacing was super slow, and I got bored several times reading this book. Also, the world-building is still lacking. I get what's going on more, but I could have used a lot more info. It's one thing not to info dump every other page, but it's a completely different thing to not have enough information to make the story make sense. Also some random people just vanished without any explanation at the end, and characters we didn't even meet were mentioned like we were supposed to care about them. I did like that the author had characters of different sexual orientations, and I also appreciated her taking us inside the home of a neglected kid so that everyone could understand more what they went through. Along with that, the writing was pretty good, and she had some memorable quotes in there. However, the ending was awful. It's like it stopped in the middle of the story. This was like a cliffhanger on steroids, and I hated it. Not even sure if I want to read the next installment or not because of that. Overall, this book was unique and addressed some important topics, but it just didn't blow me out of the water. I really wish there was more world-building and that the author had tied things up a bit more at the end. The novel wasn't terrible, but it wasn't fantastic, either.